If you’re the owner of a classic car, it’s understood that your car is more than just a possession. You’ve probably painstakingly restored it to its original condition over a period of years, and it’s become a sentimental piece rather than simply utilitarian. Whether you’re moving to another country or you’re taking your beloved to a car show overseas, you should look into an enclosed car carrier in Florida to make sure your baby is well taken care of. If you’re looking for advice on shipping your classic car, keep reading. When you’re looking for an enclosed car carrier in Florida to transport your antique car, you should take the time to talk to them in depth about your expectations. The Floridacompany of your choosing should be knowledgeable about what it takes to ship an antique car in an enclosed car carrier to prevent any damage to your vehicle. It’s not advisable to ship your antique car in an open carrier, since your car will be exposed to the elements and at risk of being damaged. 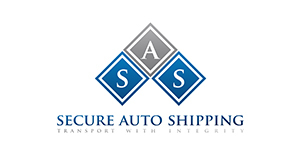 This is why an enclosed car carrier is your best option, and the Florida Company you choose to transport your car will have all the knowledge and tools necessary to get your car to its destination safely. You’ll have the peace of mind of knowing that your antique car is protected in its enclosed car carrier. You should ensure that the chosen Florida car transport company doesn’t stack enclosed car carriers so there’s no chance of dripping oil damaging your vehicle.